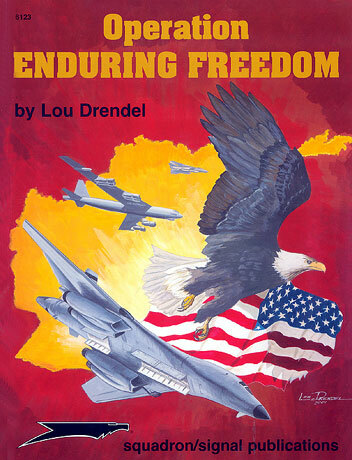 One of the latest books to be released by Squadron/Signal Publications is 6123, Operation Enduring Freedom by Lou Drendel. 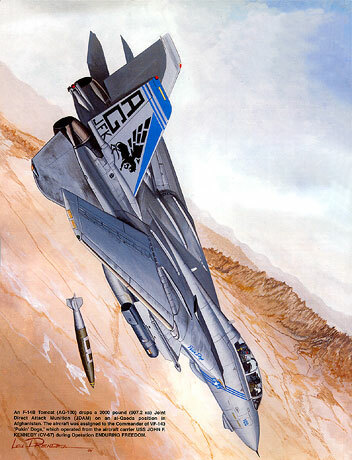 Operation Enduring Freedom is a pictorial history of the opening shots of the campaign and is divided into sections covering USAF, USMC and USN involvement. The photos within each section appear to be carefully chosen for their clarity as well as their ability to “tell a story” As a consequence, there are many, many shots that show the type of close-up detail that is valuable to the modeller. Each of the photos carries a comprehensive caption that not only describes what is going on in the photo but read collectively, also tells you the story of Operation Enduring Freedom. The book contains 64 pages in A-4 format with full-colour cardboard covers. There are 225 photos between the covers of which 112 are in full colour.